What Saint Eugene wanted to achieve was that, in Christ, each individual could become a fully complete person, an authentic Christian, a credible saint. The Church gives us this great Bishop and Founder of the Oblates of Mary Immaculate as an example of heroic faith, hope and charity”. What was St Eugene dream? 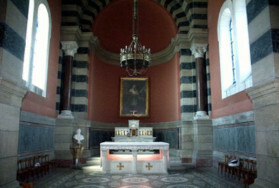 When Eugene entered the seminary at St. Sulpice in Paris. He had a clear ideal: “He would be the servant and priest of the poor”. He was ordained in the autumn of 1812. With his dream uppermost in his mind he asked the bishop to not assign him to a parish but to allow him to work with the youth, the prisoners and the poor. In later life, Eugene encouraged his Oblates “to treat people as human beings, then as Christians and finally to help them become saints”. Charles Joseph Eugene de Mazenod was born in Aix-en-Provence France on 1st August 1782, the son of wealthy aristocratic parents. His father Charles Antoine de Mazenod, a member of the French nobility was the President of the Aix Parliament. Young Eugene had a very comfortable life. 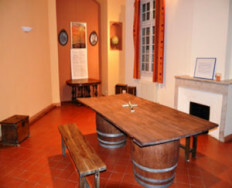 His idyllic world was swept away by the French Revolution in 1789 when the entire family was forced to flee into exile. Eugene was just eight years old when his family fled France, leaving their possessions behind, and thus began an eleven-year exile. These were years of family instability, material scarcity and danger. The Mazenodian family became political refugees, who trailed through a succession of cities in Italy – starting from Turin, Venice, Naples and finishing up at Palermo. His father, who had been President of the Court of Accounts, Aids and Finances in Aix, was forced to try his hand at trade to support his family. He proved to be a poor businessman, and as the years went on the family came close to destitution. This meant that Eugene’s adolescence was impoverished. Deprived of friends of his own age, he was also separated from his mother who returned back to France and ended up divorcing her husband and reclaiming back all the family property in France. Eugene studied briefly at the College of Nobles in Turin, but a move to Venice meant the end to formal schooling. A sympathetic holy priest Don Bartolo Zinelli, living nearby, undertook to educate the young French migrant. Don Bartolo gave the adolescent Eugene a fundamental education, but with a lasting sense of God and a discipline of piety which was to stay with him always, despite the ups and downs of his life. A further move to Naples, because of financial problems, led to a time of boredom and helplessness. The family moved again, this time to Palermo where, thanks to the kindness of the Duke and Duchess of Cannizzaro, Eugene had his first taste of noble living and found it very much to his liking. He took to himself the title of “Count” de Mazenod, did all the courtly things, and dreamed of a bright future. However, it was the Duchess of Cannizzaro who taught him about the importance of lending a helping hand to the poor in the community. In 1802, Eugene was 20 years old when he returned from exile. Upon arrival in France, Eugene was young, handsome and he had ambitions, pretensions and access to all the pleasures of “the good life”. However, all his dreams and illusions were quickly shattered as he was just a plain “Citizen” de Mazenod in a very changed world of France. The young Eugene was also experiencing pressure from his Mother and her side of the family to marry and she was intent on marrying off Eugene to the richest possible heiress. Eugene colluded with the situation as he was also keen to get his hands on a possible big dowry. He sank into depression, seeing little real future for himself. It was not until when he was 25, Eugene’s life was gradually being transformed by a “conversion” experience. During the adoration of the cross on Good Friday in 1807, Eugene had a special experience of the love of Christ for him and the forgiveness of sin. 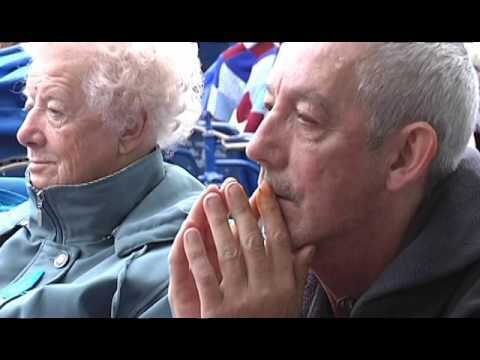 This was such an experience that Eugene decided to dedicate his life to Jesus his Saviour. 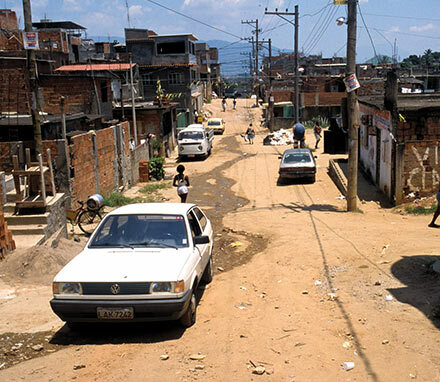 Eugene began his ministry by reaching out to the poor, the workers, the youth, the sick, the country villagers, the servants and the needy prisoners of Aix. He was overwhelmed by the demands of the ministry and he often carried it out in the face of opposition from the local clergy. The beginning of community life. Soon Eugene realised the he needed to pursue an alternate course so he gathered a group of priests to work with him to awaken “a faith that had all but died in the hearts of so many”. Eugene invited his companions “to live together as brothers” and “to imitate the virtues and examples of our Saviour Jesus Christ, through the preaching of the Word of God to the poor”. He urged them to commit themselves unreservedly to the work of the missions,binding themselves by religious vows. These priests were prepared to step outside the old accepted structures. Eugene and his men preached in Provencal, the language of the common people, not in “educated” French. They went from village to village instructing the people, spending amazingly long hours in the confessional. In between these parish missions the group joined in an intense community life of prayer, study and fellowship. So, it was on January 25, 1816, the society of the “Missionaries of Provence” was born; and it was the name they had chosen for their group of missionaries. In order to ensure there would be continuity for the work, Eugene took the bold step of going directly to the Pope and asking that his group be recognized officially as a Religious Congregation of pontifical right. His faith and his persistence paid off-and on February 17, 1826, Pope Leo XII formally approved the newly founded Congregation as the “Missionary Oblates of Mary Immaculate”. Its motto is “He has sent me to evangelize the poor” expressed both its charism and way of life. Eugene was elected Superior General, and continued to inspire and guide his men for 35 years, until his death. Eugene insisted on deep spiritual formation and a close community life. He was a man who loved Christ with passion and was always ready to take on any apostolate if he saw it answering the needs of the Church. The “glory of God, the good of the Church and the sanctification of souls” were impelling forces for him. The Diocese of Marseilles had been suppressed after the 1802 Concordat, and when it was re-established, Eugene’s aged uncle, Canon Fortune de Mazenod, was named Bishop. He appointed Eugene Vicar General immediately, and most of the difficult work of re-building the Diocese fell to him. Within a few years, in 1832, Eugene himself was named auxiliary bishop. His Episcopal ordination took place in Rome, in defiance of the pretensions of the French Government that it had the right to sanction all such appointments. This caused a bitter diplomatic battle, and Eugene was caught in the middle, with accusations, misunderstandings, threats, and recriminations swirling around him. It was an especially devastating time for him, further complicated by the growing pains of his religious family. Though battered, Eugene steered ahead resolutely, and finally the stalemate was broken. Five years later, in 1837, Eugene was appointed to the See of Marseilles as its Bishop, when Bishop Fortune retired. As pastor of a Church undergoing a time of significant growth and simultaneously Superior of a fledgling group of missionaries, Bishop Eugene de Mazenod truly had to be “all things to all people”. As Bishop, Eugene greatly increased the number of parishes, religious associations and strengthened the seminary training in the diocese. He not only welcomed the return of Religious institutes, but also personally encouraged the founding of several new religious families. Special programs were undertaken for youth, workers, immigrants and the needy in the rapidly developing port city of Marseille. Eugene restored the old shrine at the top of the hill (Shrine of Notre Dame de la Garde) and he also planned the new cathedral at the edge of the sea (“La Major” – where he was to be later buried in there after his death). Simultaneously, he played a prominent role in the major political and religious questions of the day; such as religious education. He grew into a towering figure in the French Church, since in 1856, Napoleon III appointed him a Senator, and at his death he was the senior bishop of France. Significantly, he established the rights of the papacy in France with support from his brother Bishops. In 1854, he journeyed to Rome to participate enthusiastically in the doctrine of the Immaculate Conception on 8th December. 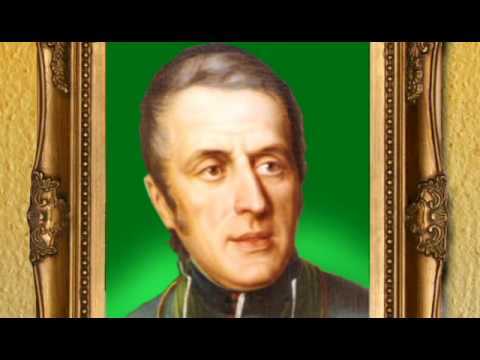 On May 21, 1861, saw Eugene de Mazenod returning to his God, at the age of 79, after a life crowded with achievements, many of them borne in suffering. For his religious family and for his diocese, he was a founding and life-giving source: for God and for the Church, he was a faithful and generous son. As he lay dying he left his Oblates a final testament which summed up his life: “Practice well among yourselves charity, charity, charity, and outside, zeal for the salvation of souls“. Bishop Eugene died on the Tuesday after Pentecost Sunday in 1861 to the prayer of Salve Regina. It was his final salute on earth to the one he considered as the “Mother of the Mission”. 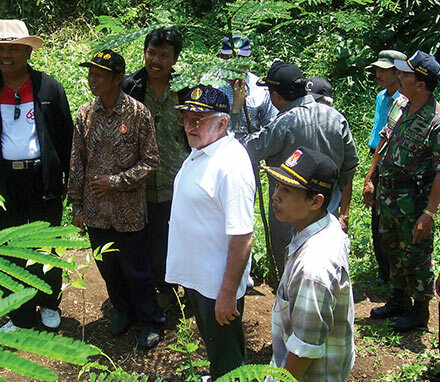 In the years that followed, the Oblate mission thrust continued, so that today the impulse of Eugene de Mazenod is alive in 68 different countries. 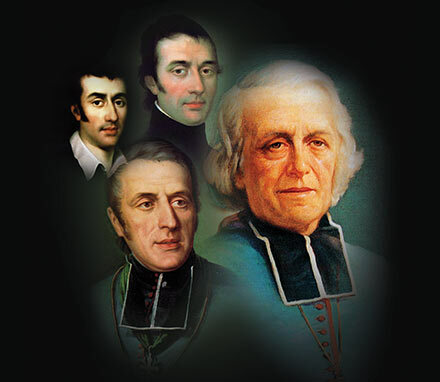 St. Eugene de Mazenod founded the Oblates in France on January 25th in 1816. The Oblates came to Britain in 1841 and to Ireland in 1856. Almost 5,000 Oblates work in more than 60 countries. 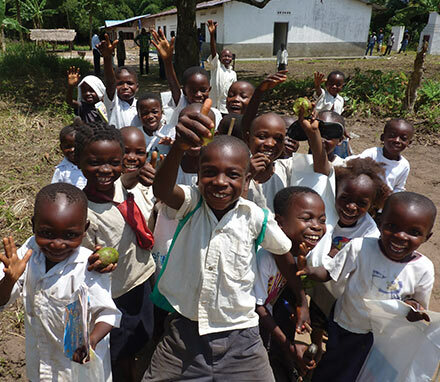 The Oblates focus on befriending the poor, abandoned and marginalised. 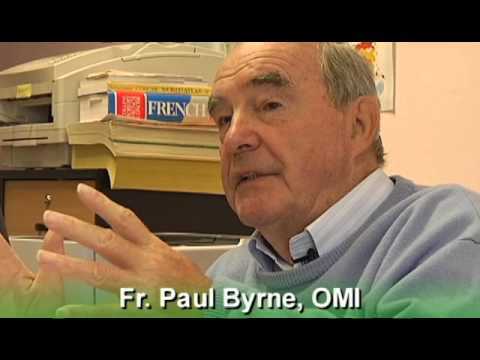 What is an Oblate Vocation? 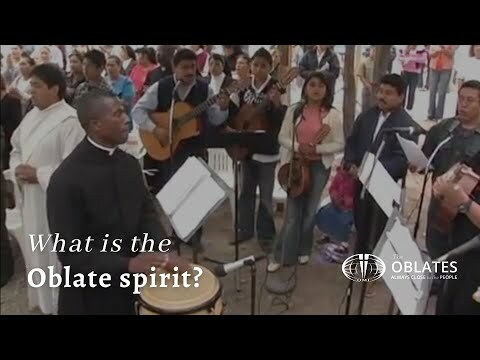 What is the 'Oblate Spirit'?